The 2019 Old House Trade Show is just one week away, so we’re sitting down with a few REALTORS® participating in the show to get their perspectives on working with historic homes—and to learn what buyers and homeowners might expect in the process of buying or selling an older home. Below, read our conversation with Town & Shore Associates, LLC, a local real estate brokerage and sponsor of the Old House Trade Show. Landmarks: How is the sales process different when working with an older home? Town & Shore: The transaction process for any residential property is generally the same, regardless of age, size or location. Prospective buyers of older homes often share the commitment to a philosophy of “stewardship” when buying older homes. When the Sellers and Buyers share this reality, the purchase and sale process benefits from shared perspectives and objectivity. In the case where older is not “historic”, the buying process will require a dedicated agent, one familiar with the importance of detailed inspections and local ordinance requirements. Landmarks: Do you provide potential buyers with the history of the home? Town & Shore: We attempt to thoroughly research all properties managed in either buying or selling residential properties. 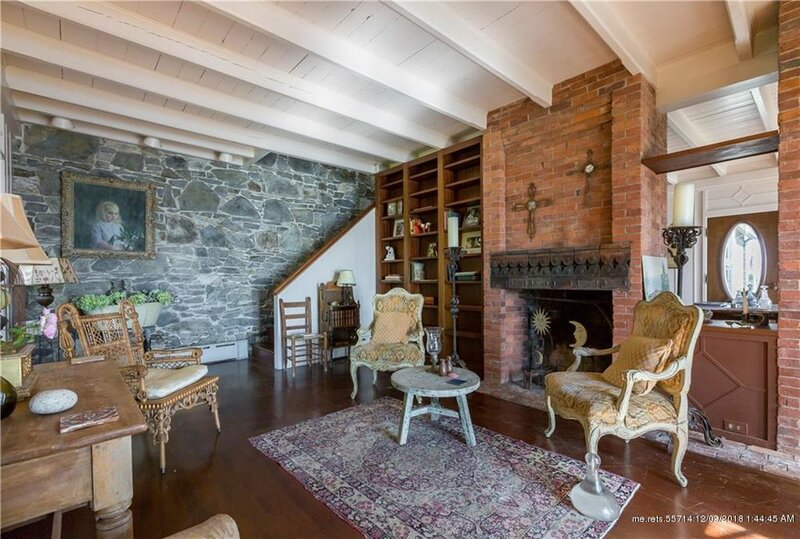 The older the home, the more likely historic information will be important in both presentation or buying scenarios. Providing as much historical information, as is reasonably accessible, from files found in the respective municipal and historic libraries as possible is critical. Developing a history of a property serves to add necessary understanding of the purchase decision, the immediate neighborhood and environs, while positioning the “uniqueness” of the property as a component of value. Landmarks: Do you work with any interior designers to make the home ready for sale? Town & Shore: When necessary, adding professional design perspective for presentation is invaluable. Cherished possessions and collections can add personality, but often benefit from a judicious editing. A simple rule of organization for those favorite living spaces: Clear horizontal surfaces render a room as organized. Orderly storage and garage areas speak to the stewardship and care of the owner. Landmarks: How do the historic elements of the home influence the renovation process? Town & Shore: Historic preservation often is controlled by local historic standards. The concept of changing or adjusting any exterior façade or historic detail that can be seen from a passing street may determine restoration/renovation decisions. Changes to interior spaces are normally determined by the aesthetic of the owner. We encourage maintenance and care for existing structural and design elements, including crown moldings, trim and cabinetry woodwork or plaster embellishments, electrical and structural elements. Thank you, Town & Shore, for sharing your knowledge on the subject of buying and selling older homes. To learn more about the process of real estate as a buyer or homeowner, be sure to visit Town & Shore at the 2019 Old House Trade Show, coming up on March 30th and 31st in Portland. Learn more about Town & Shore Associates, LLC at townandshore.com.